Bartlett, IL September 10, 2015 – WITTENSTEIN cyber® motor has enhanced its cyber® dynamic line servo motors with proprietary advanced winding techniques and superior magnetic materials that increase output power by as much as 47%. This enhancement was achieved within the original dimensions of the motors, improving overall performance within the same small footprint that is a signature feature of the product line. 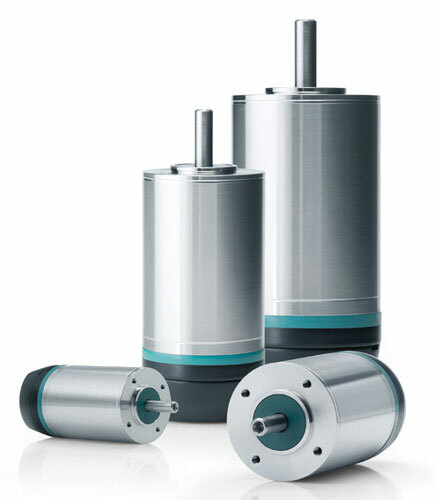 Available in diameters of 17, 22, 32 and 40mm, cyber® dynamic line DC servo motors feature a high torque and power density design with eight magnetic poles, output power ratings up to 345W, standard encoder feedback with 4096 post quadrature counts per revolution (RS422 5V TTL or BiSS-C), stainless steel housing and detachable shielded single cable output. By design, cyber® dynamic line servo motors provide outstanding dynamic factors — which are unmatched in their size class, delivering top efficiency of up to 90% and unsurpassed resilience to cope with overload operating conditions. The product line offers the following advantages when compared to ironless servo motor products in this size category: very high efficiency ratings, ultra compact form factors, high dynamic characteristics, and greater safety margins in overload conditions. WITTENSTEIN cyber® motor specializes in delivering highly engineered and customized servo motion technology for high performance and extreme condition applications, such as high temperature, high pressure, ultra high vacuum, radiation, clean room, explosive or hygienic environments. Areas of excellence in application engineering include the Food & Beverage, Semiconductor, Printing & Converting, Nuclear and Renewable Energy, Automation, Robotic and Medical markets.